In late January 2007, I attended a spiritual retreat in Northern Michigan. Winter storms had dumped over a foot of snow in the region and then cleared out, leaving behind bitter cold and crystal clear skies. 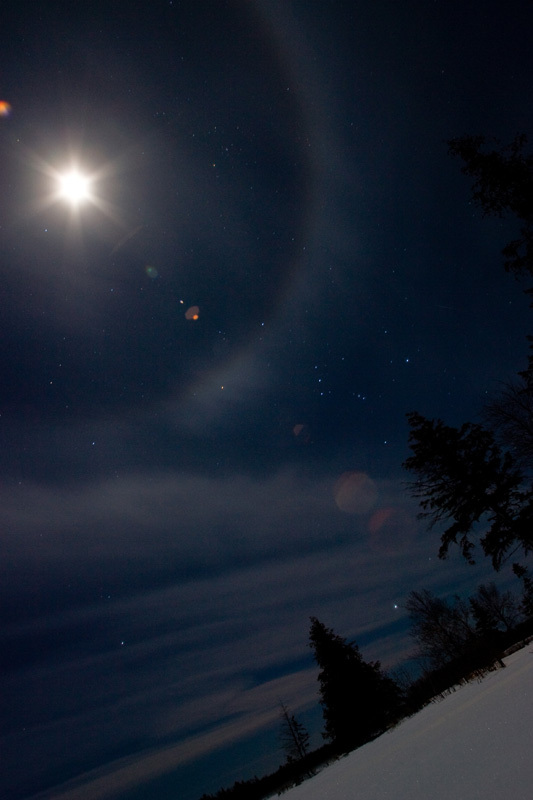 On this night temperatures were between 10 and 20 degrees below zero, but the perfect ring around a full moon was enough to lure me out onto the lake for a few photographs. Don’t forget to rate this post below! Cassie and Erik are Married!